The National Museum of Indian Cinema (NMIC) provides a glimpse into Indian film history and helps film students, film-makers, fans and critics to learn and understand cinema as a medium of artistic expression in the country and globally. With over a hundred years journey to be told, the National Museum of Indian Cinema (NMIC) deems to preserve the rich history of films and entertainment industry. Inaugurated on January 19 by Prime Minister Narendra Modi, NMIC is the first ever film museum in the country. Many bigwigs of Bollywood including Jeetendra, Karan Johar, Asha Bhosle, Aamir Khan, AR Rahman and Subhash Ghai attended the inaugural event. 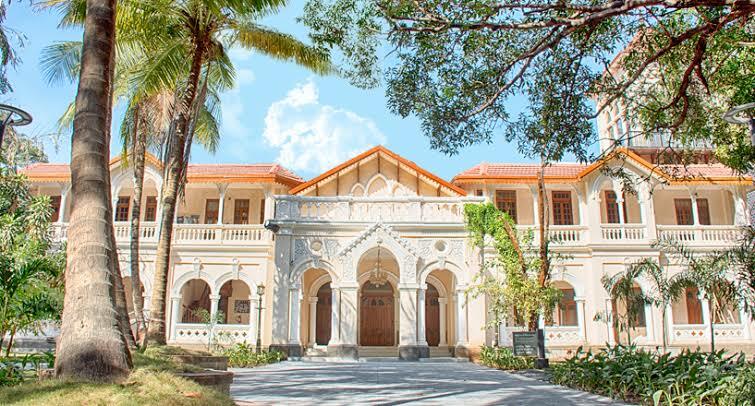 Located in Cumballa Hill, Mumbai, the museum is housed in two buildings, the New Museum Building and the 19th century historic palace Gulshan Mahal. Apart from being a storehouse of information for the layman, the museum also has a theatre where short films will be shown, and also consists of a shop, which will sell the copies/photographs etc. of the vintage items, books and booklets on the work of noted film makers and mementoes. With its state-of-the-art appeal, the museum is going to delight people with displayed artefacts like vintage cameras, projectors, editing and recording equipments, costumes, photographs and other materials portraying the journey of Indian cinema since its dawn in 1913 with the first full-length feature film, Raja Harishchandra made by the legendary Dhundiraj Govind Phadke, known as Dadasaheb Phalke. Even though the film industry of India is one of the biggest industries in the country, it is not completely free of problems, a major one consisting of piracy. While inaugurating the museum, the Prime Minister assured the film industry that effective steps are being taken to curb piracy and announced the amendments in the Cinematography Act, 1952. Aiming to provide ease to filmmakers, the government has also removed 1400-odd laws that were irrelevant under the ease of doing business policy. Considering the fact that films also plays a big role in promoting tourism sector in the country, which further boosts employment, the government proposed that there could soon be a global film summit in India, similar to the World Economic Forum Summit in Davos. The museum is also a research centre which will timely evaluate the impact of the film industry in the society. Indians have always been very fond of films and music, which forms the greatest part of entertainment in their lives. This is the reason why cinema has a huge impact on our lives and is considered as an easiest source of bringing change in the society which seems to persist for long term. In what will provide a new experience for cinema aficionados, NMIC will remain open for public between 11 am and 6 pm every Sunday and Tuesday.